We are pleased to announce that LBG is hosting a specialist webinar on DJSI excellence and corporate community investment (CCI) on March 27th 2019. We will be joined by special guest Ivana Kesten, Manager ESG Ratings from SAM, who spoke at the London LBG Annual Conference last year. Aligning with Corporate Citizenship’s 10 Actions for Business in 2019, and this month’s theme, Sustainability Reporting, we will examine reporting from a community investment perspective, look at how members capitalise on the LBG framework for their external reporting, and hear from SAM how scores have improved through members’ use of the Framework. Corporate Citizenship have worked with clients and have remove assisted companies for the past 20 years on their submissions, from when the very first Dow Jones Sustainability Index was constructed. This webinar is open to both LBG members and non-members. 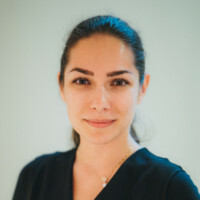 Ivana is responsible for overseeing the business ownership of the Corporate Sustainability Assessment (CSA) proprietary software used for storage and collection of sustainability data at RobecoSAM. She is involved in managing the overall quality control process of the assessment, including the creation of Dow Jones Sustainability Indices.